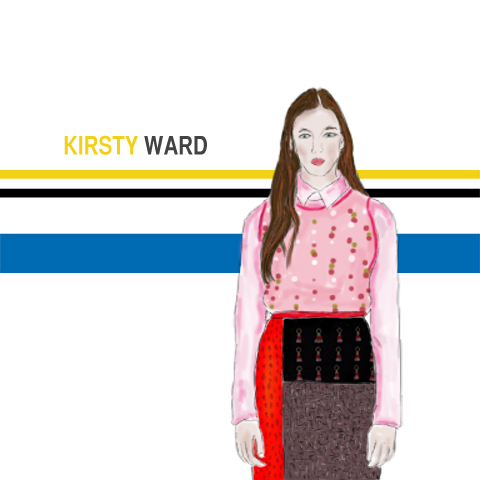 Kirsty Ward AW15 by Sangita Kumari. It's been awhile since I last caught up properly with Kirsty Ward, but when I was reminded of her particularly unique aesthetic at the London Fashion Week stands this season (covered here) I decided that it high time that I find out more about her steadily growing fashion and accessories label. I can’t believe you are onto your 10th collection: what have been the highlights of five years in the fashion business? Rejina Pyo chose an off-schedule venue to showcase her subtle and beautiful collection. Soojin Lee showcased a colourful collection inspired by an era of war. Jean-Pierre Braganza presented new collection Excelsiora at Somerset House on Friday 20th February 2015. New Gen designer Danielle Romeril showcased an apocalyptic collection in the bowels of Somerset House on Saturday 21st February 2015. The Kattri jewellery range features gorgeous contemporary geometric designs. Phannatiq put on an alternative catwalk show with street dancers and Parkour, outside ME London Hotel during London Fashion Week September 2014.